At a time when most of the city is sleeping in, leadership volunteers continue the Gathering’s ministry. Whether it’s team Home Fries, the Bay Leaf Bruisers, HaMM on Rye, or any one of the creatively-named cook and coordinator teams, these individuals provide a much needed service. Cooks and coordinators are part of the reason the Gathering’s Saturday lunch is able to serve an average of 495 guests weekly at four sites. Every Saturday, volunteer cook teams prepare all of the food for the meal, followed by coordinators who facilitate the serving of the meal. These leadership volunteers go through an application and training process and commit to at least a year, although many end up sticking around a lot longer. Vergie Bond, for example, has been a volunteer cook for 27 years at the Gathering’s north side site (Our Next Generation). Along with the King Solomon Cook Team, Vergie prepares meals every fourth Saturday of the month. “It's about showing that you care about people. There’s such a need,” Vergie says. Lucy Evans, another member of the King Solomon Team, is inspired by the guests she meets each weekend. She enjoys stepping out of the kitchen to see people taking the time to slow down, sit and enjoy a meal together. Guests have even approached Lucy to ask if they could help out with the dishes because the food was so good. “Those are the special interactions,” she said. On the other side of the city, at St. James’ Episcopal Church, Jodi Martinez spends her time interacting with guests and volunteers on the serving floor. Jodi is a floor coordinator for the Saturday meal. After the cooking crew leaves for the day, Jodi directs volunteers and makes sure everything runs smoothly. Being on the serving floor is important to Jodi. It is an opportunity to engage and make the site a welcoming place for guests. The same is true for the volunteer environment. Jodi recognizes the importance of making everyone feel part of something greater. The idea of the volunteer group as family is found throughout the Gathering's meal sites. At the Gathering’s South Side site, Betsy Fryda, cook team leader for “Home Fries,” has cooked for the Gathering for five years. Her team is made up of workers from the Taste of Home magazine. Each team member is passionate about food, so the Gathering provides a unique opportunity to give back. “To be able to share you love with others is the ultimate volunteer experience,” Betsy said. 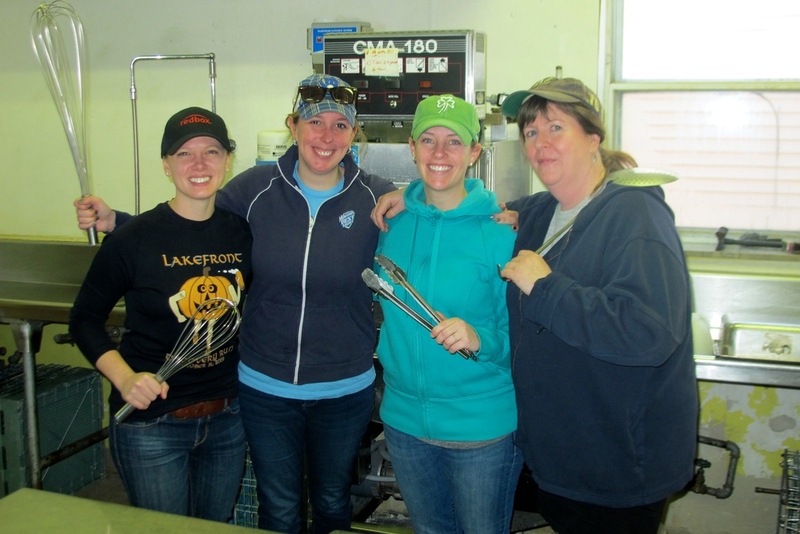 Betsy, Jodi, Vergie and Lucy are just four of the 104 leaders who spend their Saturday mornings serving the hungry and homeless. These dedicated leaders donated 3,238 hours valued at $70,524 in fiscal year 2013-2014. 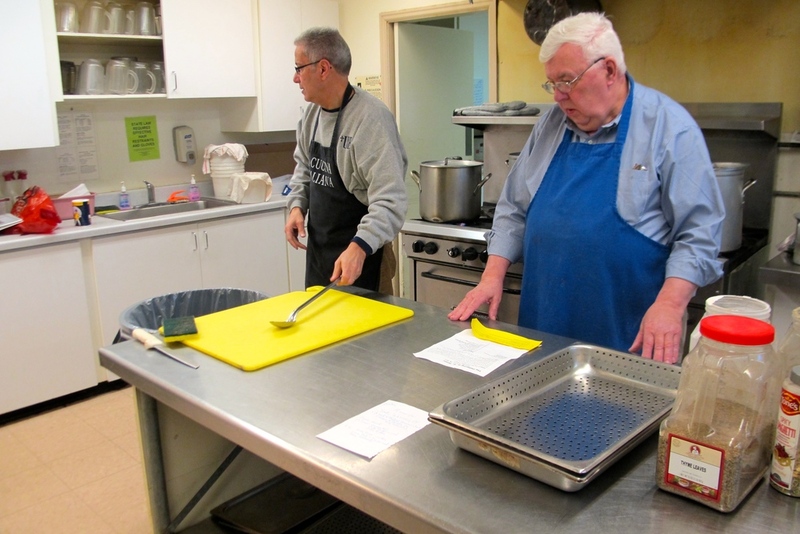 Without their commitment, energy and enthusiasm, the Saturday Meal Program would not exist. Wyatt Massey is a volunteer storyteller for the Gathering. Read more of his work here. Welcome to the Gathering blog, a place to find news, updates and stories about our wonderful guests and volunteers. We invite you to read and be inspired.